The long tradition of beautiful and esoteric craftsmanship in the history of furniture making in Arabia and the Orient has always been cherished. 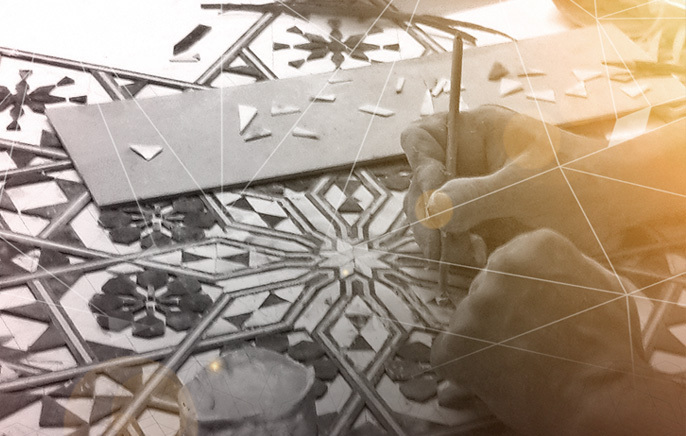 Skills, techniques, intimate knowledge of materials and specialty tools come together with the unique cultures and resources available to create the finest interior furnishings. Artikkan treasures these traditions in their unique creations and installations, but with an eye on changing taste and evolving functionality where Classic meets contemporary in an aesthetic rhythm. Artikkan is the brainchild of architect duo, Hazar and Hussam, established in Doha, Qatar, by early 2015. They teamed up after collaborating on a number of projects, both sharing a passion to design and create unique, Arab or Oriental influenced furniture and home-décor. They realized they would do their craft more justice, serve clients better and keep oriental traditions alive, current and relevant. “Artikkan- The Moderiental Brand” offers ready-made creative furnishings from which to mix and match, as well as custom-made interior design products and services that you will cherish; the Artikkan team can help to fuse past and future for your home or office. Where modern and oriental blend in perfect harmony- Artikkan leads the field in innovative traditional furniture with a delightful modern twist. Visit us now to start your journey towards achieving the most unique and exquisite Moderiental furnishing statement for your space.